Most every first grader knows about frogs and toads and their life cycles. And, if they know about amphibians, they may know that salamanders are part of this group too. But rarely do they talk about salamanders and get to see them up close. This month in the K-2 Program, BRDC staff read excerpts from a youth salamander guidebook discussing the differences between salamanders and lizards (amphibians vs reptiles) and some of the features of our local salamanders, where they live, their habitats, and how they breathe. We also brought in some live, local salamanders for the kids to observe. 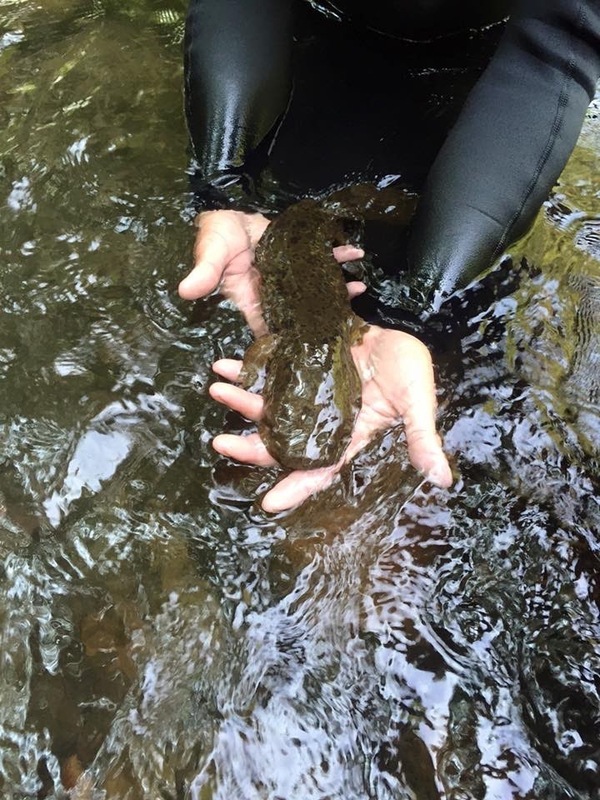 Our focus was on the Eastern hellbender, our largest salamander. After watching a video on the hellbender, we discussed ways to save and protect this amazing salamander and have him swimming in our rivers and streams for future generations.